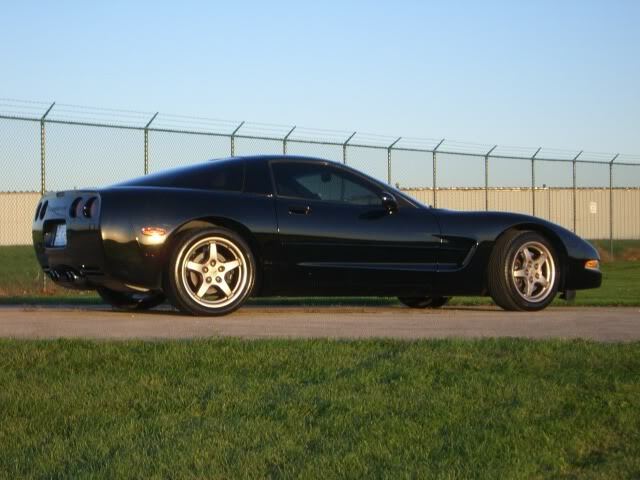 Selling the Magnesium Wheels and Tires off of my C5. These fill all C5's and 4th gen F-Bodies. Wheels are authentic GM wheels...not replicas. Lighter than the Z06 wheels. Wheels are in good condition but do have some surface blemish on them. Nothing major, nothing that anyone can see from even a couple feet away. But I know how Vette guys are perfectionists (Me too!!) so I have deeply discounted the package. Tires are almost brand new...less than 1000 miles on them. My car sits on the CCW drag pack, so these wheels/tires are hardly ever on my car. Goodyear Eagle F1 GS-D3's, and the molding tabs are still on them. I paid about $1000 for tires alone! I am selling the package for $1500 plus shipping or best offer! WILL NOT SEPERATE EACH WHEEL. Last year at the Bloomington Gold Corvette show a guy had these wheels and was asking $500 each and sold em! If interested...call Nik at 847-894-8006. I hardly log into here...so please call. Anyone refinish their factory magnesium wheels?